This map shows how the plots of land which faced the High Street were long and thin; there was no proper road at the back of the properties but an unofficial ‘Back Lane’ developed by usage to make a round route connecting the centre of the village with the riverside. 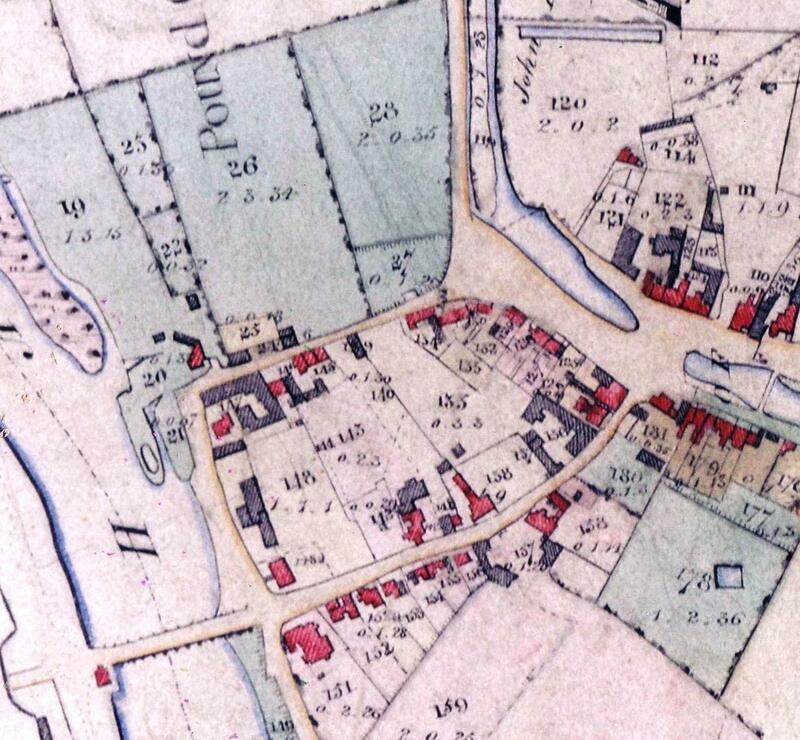 The buildings on Back Lane (Queens Road) in this map belonged to the main properties facing the High Street. A whole group of old houses or cottages at the top of Back Lane were demolished when the railway was built in around 1850. The plots coloured green on the other side of Back Lane belonged to the Lord of the Manor as meadowland, and Pound Close was the site of the ‘pound’ or enclosure where animals which strayed onto manorial land were kept.